Even without a booking at Alinea, Chicago should still be at the top of every dining enthusiast’s travel list, says Janice Leung Hayes. Hongkongers are a well-travelled bunch, and just about any food lover in this city can rattle off a favourites list for the US’s major coastal cities like L.A., San Francisco or New York, which are jam-packed with amazing eateries. But earlier this year, the US travel magazine Condé Nast Traveler named Chicago “America’s Best Food City”. While it might surprise some (especially those who still believe Chicago is a steak and potatoes town), others might say that the recognition is long overdue—after all, restaurants like Alinea and Grace have perhaps some of the US’s most sought after tables for globetrotting gourmands, and have topped international guides and lists for years. Even if you can’t nab a seat at these Chicago icons, remember that these great restaurants don’t exist in a vacuum. The dining scene in Chicago is just as amazing as its architecture—inspired, world class, with plenty to take in. Don’t forget to pack your elasticised pants. Opened just last year, Smyth has already gained numerous accolades as well as a strong local following. Helmed by a husband-and-wife team – John B. Shields and Karen Urie Shields – both protéges of Chicago restaurant legend Charlie Trotter, Smyth is the kind of restaurant sophisticated dining cities pride themselves on –meticulous, creative, high-quality, mostly direct-from-farm food that is so honest, there’s no room for pretention. It’s playful and daring, but deliciousness always comes first – expect dishes like a doughnut deep-fried in tallow, a flaky, piping hot brioche perfect for mopping up the beef jus it comes with, or a dish of kani miso and perfectly jiggly cubes of foie gras, a combination we didn't know we needed until now. For a time, it seemed as if everyone was on the “small plates” trend, but after doing it for 14 years, Avec proves that when it’s done right, it never goes out of style. Apart from the kind of fresh, tasty Mediterranean-inspired flavours that make your palate tingle, they also have an adventurous, well-priced wine list featuring bottles from all over the Med. The timber-lined space is minimalist yet cosy, and perfect for just about any occasion – from date night to team lunch. It’s little wonder Avec’s become a bit of a modern classic on Chicago’s competitive “restaurant row”. The Alinea Group (TAG) has built a semi-empire in Chicago, and although the eponymous restaurant is notoriously difficult to book, perhaps the easiest ticket (literally – you book through a ticketing system) to a TAG experience is The Aviary, the bar that's not really a bar. Your libations come from a “drink kitchen”, and you can choose to have a degustation (3 cocktails, or 5 or 7 courses of cocktails paired with food), or a la carte. With the same DNA as Alinea, the experience is theatrical and cerebral. For those who prefer a more classic, speakeasy environment, try The Office downstairs. At this glassed-in rooftop of the heritage building that houses The Chicago Athletic Association Hotel, you’ll find a simple yet satisfying bistro menu of burgers, lobster rolls, a great crunchy lettuce salad, and a whimsical cocktail list. But really, you’re here for the magnificent views over Millennium Park and Lake Michigan, and it’s the perfect spot to rest those feet, drink in hand, after a day of museum hopping. While it may not serve the “best” burger in you’ve ever had, this cool-kid hangout is a rollickin’ spot (be prepared to wait) and it’s open till late, serving a menu that is a cross between a diner and a gastropub. By all means have the cheeseburger, but also try the heart-stopping roasted bone marrow and beef cheek marmalade, perhaps washed down with a Pickleback shot, and don't dare leave without ordering the millefeuille. For a city known for its bitterly cold winters, a specialty ice-cream shop may seem out of place, but don’t let the weather affect your chances of savouring Jeni Britton Bauer’s deliciously intense creations. The ice creams are flavoured with real ingredients—caramel cooked on the stove, single-origin chocolate, milk from grass-fed cows—none of the synthetic stuff here. 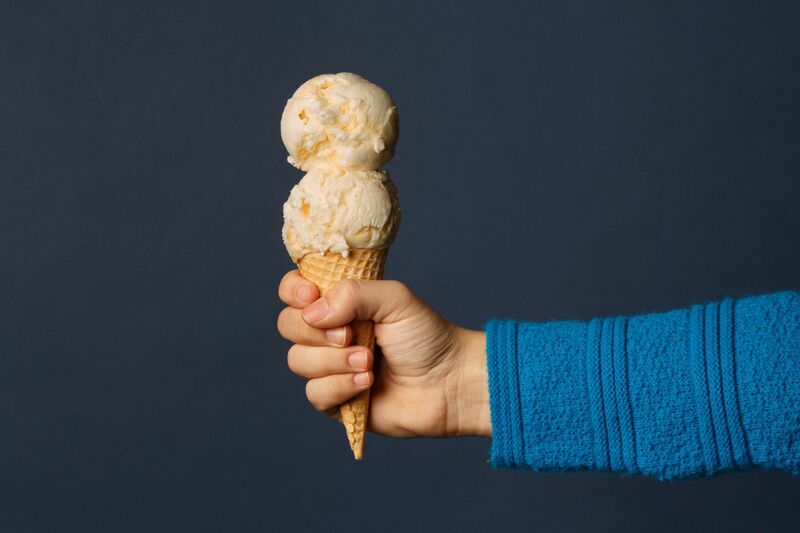 With a seasonal and a permanent menu, the only problem is deciding on how many scoops. If you've enjoyed a single origin pourover coffee in a hip cafe in the US, you probably have Intelligentsia to thank. Credited as one of the early proponents of third wave coffee in the US, Intelligentsia was founded in Chicago over 20 years ago. Although it's no longer independently owned (Peet's Coffee bought a majority stake in 2015), the indie, geeky, third wave vibe is still alive and well, and they're still sourcing beans directly from growers as they've always done. The Lakeview original, with its two large brew bar areas and a full wall of single origin beans and other merch, is a place of pilgrimage for coffee fiends. Chicago's famous deep dish pizza might be a divisive dish (Anthony Bourdain called it an "abomination") but the city's other iconic snack, the Chicago-style hot dog, is easy to love, especially for pickle lovers. This poppy seed bun features a beef sausage, but that's almost beside the point, because it's then loaded up with a huge pickled cucumber, cut lengthways, as well as pickled chillies. Add a couple of slices of tomato, and mustard (but never ketchup) and you're set. There are plenty of places around town to have it, but Portillo's is an old favourite, and the theme park kitsch interior makes for a fun visit. Housed in the last American building by modernist architect Ludwig Mies van der Rohe, this sumptuous hotel is perched right on the Chicago River, with fantastic views of the newly-revamped riverfront and downtown Chicago, with some rooms even offering a glimpse of Lake Michigan. The bar and restaurant, Travelle, is the lovely spot to unwind with a tipple, and its central location means it's just a hop, skip or a quick cab ride to all the sights, like the Art Institute of Chicago and Millennium Park, as well as the city’s best restaurants. For something a little offbeat, the loft-like rooms at the newest property in the design hotel chain’s portfolio, housed in an old Italian cheese factory, are smack bang in the West Loop, home of the city’s ‘restaurant row’. For serious eaters with intensive dining itineraries, it’s a chance to be in the thick of it. It doesn’t hurt either that the hotel’s all-day restaurant, City Mouse, is helmed by the team behind Giant, a tiny neighbourhood restaurant that’s been making huge waves in Chicago’s dining scene, and that there’ll soon be a delightful bar and terrace with unobstructed views of the Windy City’s downtown skyline. Ace Hotel is open now for preview bookings and will officially open in September 2017.